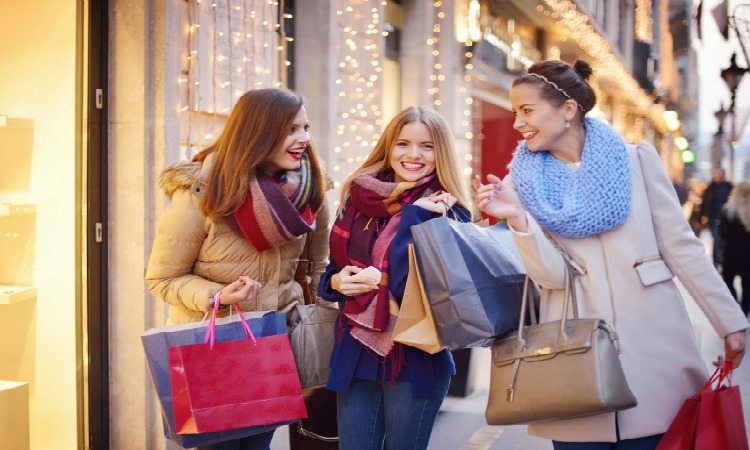 Relax with the girls and enjoy a fantastic Christmas Shopping Break – coming soon!!!! Enjoy a getaway for Christmas shopping with the girls or just a fabulous early Christmas special treat with your besties. At the Palace Hotel & Spa, you’ll enjoy the ideal city centre location perfect for your relaxing girls Christmas shopping break. You’ll find the Palace is perfectly positioned as the ideal base for your girl’s Shopping Break – so start your planning now and make sure you book it too! When you stay at the Palace you are walking distance to the shops, trendy bars and local nightclubs. With the brand new Brasserie & Bar – you can start your Sugar and Spice break in the lovely stylish new Bar with Cocktails or the new Gin Menu and come back to your midnight munchies by the fire! So choose from the Sugar & Spice Shopping Escapes and we will include the ‘everything nice’. So read on to choose from 2 fab packages for your fabulous Inverness Palace Hotel Girls Christmas Shopping Escape in the centre of Inverness!! Your ultimate Shopping break packed with luxury and fun it includes chilled Prosecco and delicious dining in the stylish Eight on the River Restaurant. Plus a mini Spa treatment for pampering after your shopping extravaganza. Midnight Munchies, Hot Chocolate & Marshmallows by the fire and more! A little note – there must be 4 girls or more for the Boutique package. Your tailor made Shopping break with chilled Prosecco on arrival! 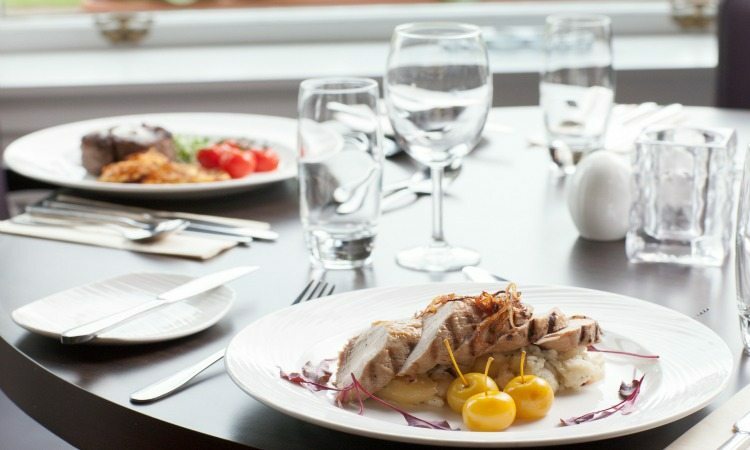 Delicious dining in the stylish Eight on the River Restaurant. Plus indulge with Midnight Munchies when you get back. Have you heard about the fabulous Intoxicating Tea Party at the Palace? Or if you are staying in November and December try the Festivi-Teas Intoxicating Tea Party! Both offer your favourite cocktails or mocktails in vintage tea pots, fabulous sandwiches and sweet treats and not to mention the little surprises or festive treats making it a must add onto your girly break away! Message your friends, arrange your date and then contact Samantha to organise your Sugar & Spice Shopping Escape! Add the amazing Girly Weekend Intoxicating Tea Party the newest addition you can make to your celebration. It is a great add-on to your ultimate Sugar & Spice weekend away! Get in touch today! Note: All prices are 2019 prices please download the flyer for full details. 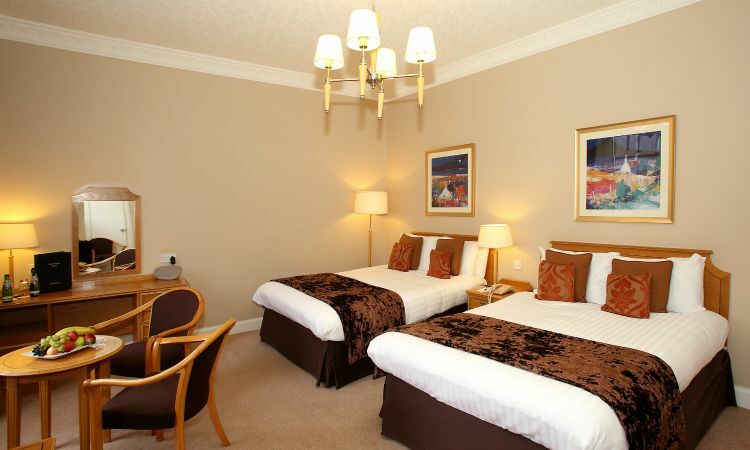 Prices are per person per night based on 2 sharing a twin room. Relax & Unwind you'll enjoy free access to leisure club, including 50 foot swimming pool, jacuzzi, sauna & steam room. It is heated to 84o so ideal after a day at the shops to chill out and unwind with the girls and it is so warm it is just like Florida! Bring the Girls the party prices are based on a minimum of 4 people, prices are subject to availability at the time of booking. Pounds & Pennies to make life easier for your party organiser, a 10% deposit will secure your booking & full pre-payment is required 30 days prior to arrival. We can take payment from each party member and even text back confirmation - really easy! Stay On Offer enjoy an extra night for only £54pppn in October or £39.50pppn in November, & December All prices are per person per night based on two sharing a twin room with the sumptuous hot and cold Scottish breakfast buffet.